When Americans think of children’s music, songs like “Old McDonald Had a Farm” and “I’m a Little Teapot” come to mind, songs that teach a small lesson about how an animal sounds or the anatomy of a teapot. 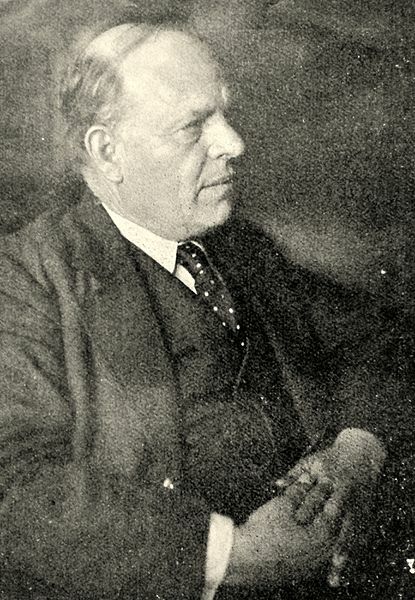 However, many Israelis visualize the famous lyrics of Hayim Nahman Bialik’s poems that were later set to music. 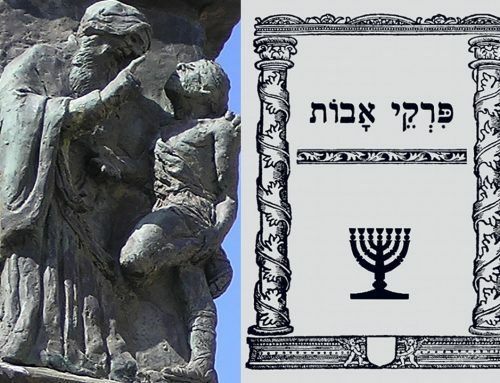 Written a hundred years ago, these songs by Israel’s national poet convey important messages about Jewish culture and tradition that still resound with many Israelis today. One of his more famous songs, “NadNed” (“Seesaw”), describes a seesaw going “down, up, up, down” and consists of only eight lines. 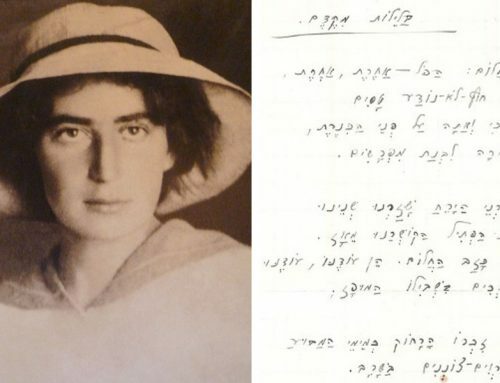 Bialik wrote “NadNed” to popularize Hebrew as a spoken language. His songs quickly spread in Palestine near the end of the Ottoman period and continued to persist when the empire fell into the newly established British Mandate. However, “NadNed” also held an important message hidden beneath the cute exterior. The song describes two people “balanced on the scales” of a seesaw, which sounds somewhat absurd. To balance on a seesaw is almost impossible. Normally one side is taller than the other as it bounces back and forth from the pivot point. It stands in equilibrium for a fleeting moment, until one side inevitably reaches towards the sky, and the other towards the earth. Bialik created this image of absurdity to describe the precarious balance between religious traditionalists and modern secular Zionist movements. 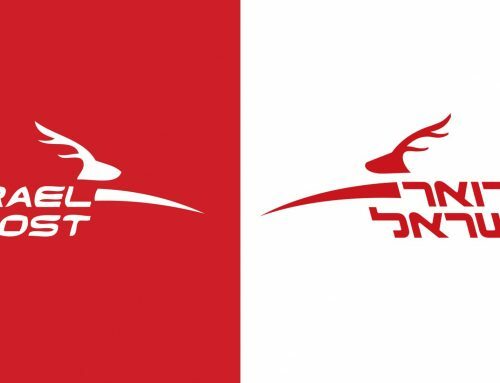 These two groups both desired to express their Jewish identity, so their ideas should align and be in equilibrium. Yet these two groups differed in many ways and could never be in perfect equilibrium. They go back and forth just like the swing of a seesaw. In the third line of the song, Bialik explicitly alludes to the Talmud with the lyrics “What is above, what is down below.” The Talmud, a Rabbinic text, is the primary source of Jewish law and theology. For many years it has been a crucial part of Jewish cultural life, so much so that many Jewish individuals, even those who are not very religious, would be able to identify this line. 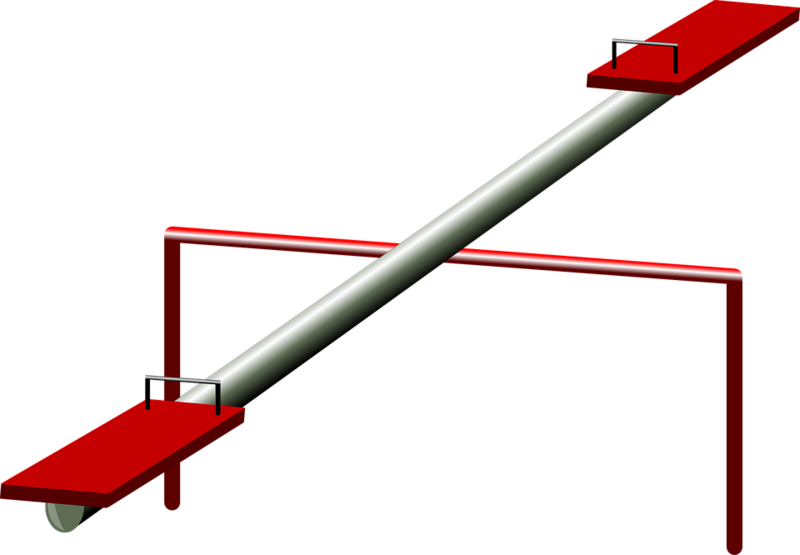 His reference to the Talmud conveys the aforementioned idea that the seesaw represents the equilibrium between the secular and religious Jewish ideals. However, Bialik provides a remedy for instability with the lyrics “the two of us balanced on the scales,” conveying his hopes that these two aspects of Jewish life will come together in order to create a positive, unified image. 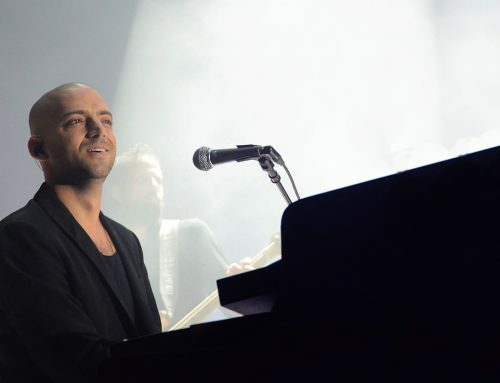 With the widespread use of the internet, people have created music videos for Bialik’s songs, continuing their popularity and adding another layer to the meaning of the piece. The creator of this “NadNed” video included two children on a seesaw in a grassy field with a frog and snail by their feet and a plane in the sky. By incorporating these images that enthrall children in real life, the graphic artist heightens the child’s attention in the video, promoting its popularity. Also, in this visual adaptation of Bialik’s song, the artist drew the two children on the seesaw to be of different races. The artist created one child, the female, to be a pale peach and the other, the male, to be a coffee brown. Instead of drawing two individuals being from the religious and secular movements, the artist modernized the conflict to be between Ashkenazi Jews and Arab Jews. In a land so rife with discord, the artist implies that even though parents cannot always agree on things, children, for a time, are unaffected by the racial bias that their parents hold. Both the lyrics and the video of this song appear simple, but when looked at under a microscope, the values of this song become clear. Instead of creating a simple song only meant to teach the child how a cow or a teapot sounds, Bialik used his creative writing to initiate a new beginning for Jewish children and their families almost forty years before Israel’s statehood. His message of unity in Israel transcends that era, as seen by this video adaptation. 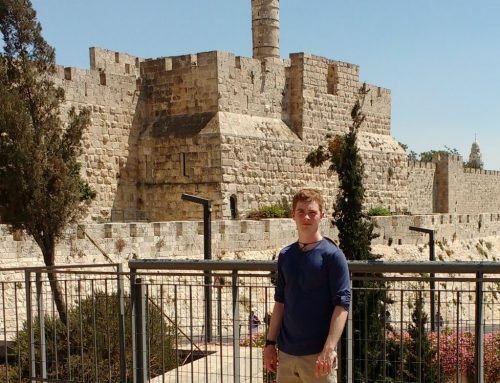 The simple lyrics can be modified to relate to any of the opposing groups in Israel and, more generally, to opposing groups across the globe that are trying to compromise on conflicting ideas but are struggling to find elusive equilibrium. 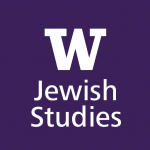 This post was written by Sheershak Agarwal, Adavya Bhalla, Alan Robon, and Isaiah Tabalbag, University of Washington undergraduate students who took Naomi Sokoloff’s course, Near East in Song (NEAR E 287), in fall 2019.